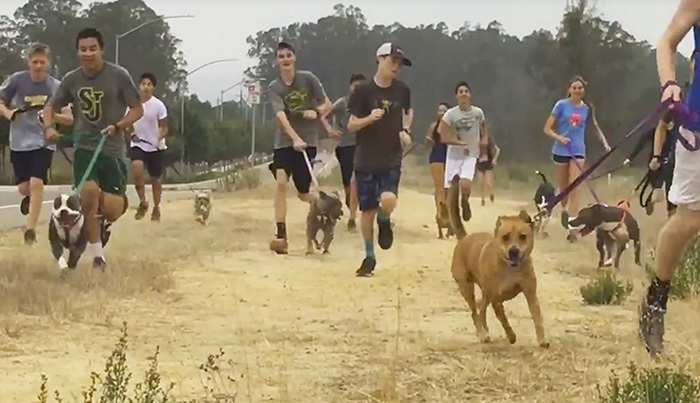 Students from the St. Joseph High School cross-country team in California would go to an animal shelter daily and invite the shelter dogs to come and accompany them. 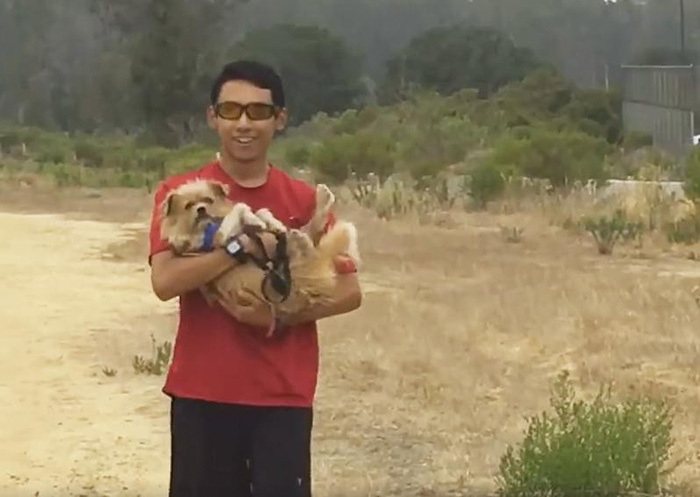 Each member of the team was paired with a dog to run with and care of during their runs. The group jogged a couple of miles around the Santa Barbara County Animal Shelter. Got a pretty cool cross country team (& coach!). Taking dogs from the animal shelter on a Morning Jog! If you see a dog you like, go adopt! This activity is a great way for the shelter dogs to become healthier physically and mentally and it also boosts their social skills. 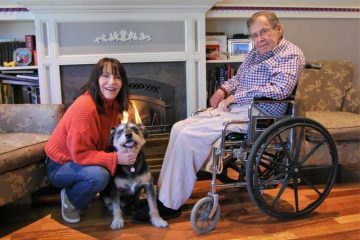 Vet.md reported that exercise for all animals is a necessity to maintain their optimal physical and mental well-being. 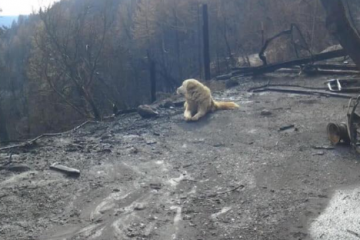 This could also prevent obesity among dogs at the shelter and so they could enjoy the physical activities outside.